Roses are synonymous with beauty, courtesy their lovely grace and elegance. 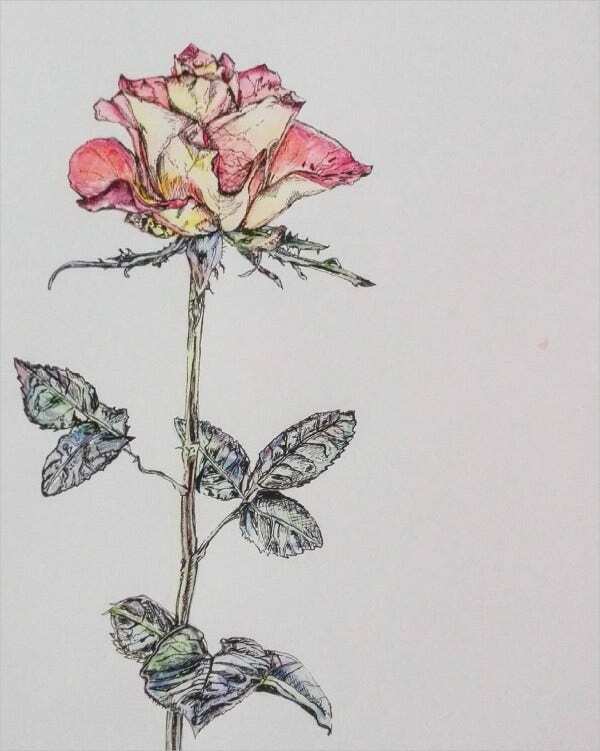 No wonder, rose drawings are some of the most beautiful ones in the world. 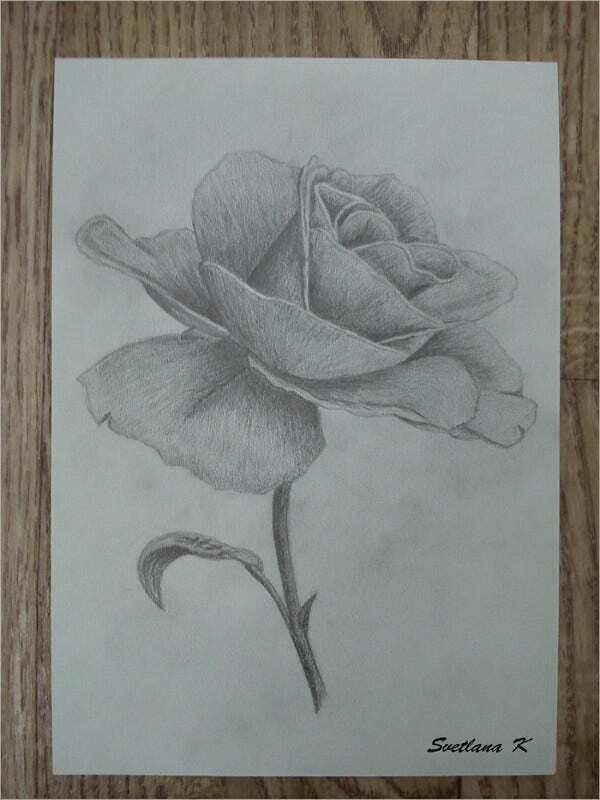 Almost every artist nurtures a soft corner for this pretty flower and hence you will see several art forms with roses- there are sketches, charcoal Flower Drawings, watercolor roses, and even 3D drawings to bring out a realistic feel. 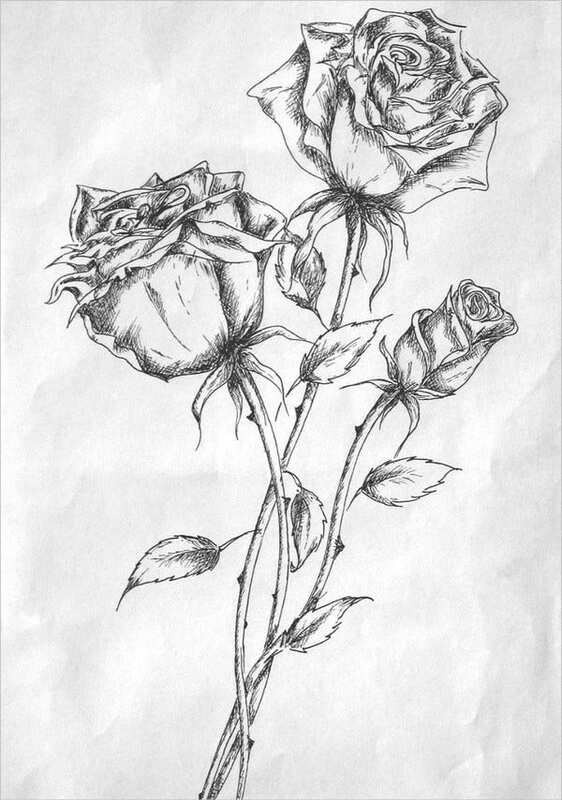 Digital rose drawings are also popular today. 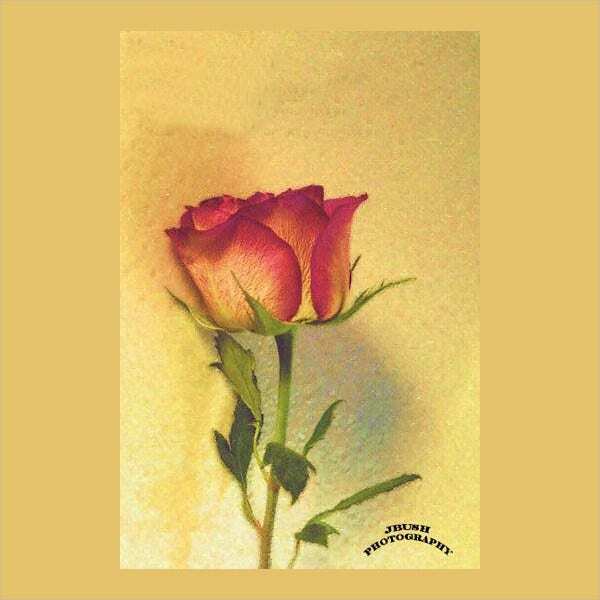 You can use them for your wall décor, romantic messages, and greeting cards. 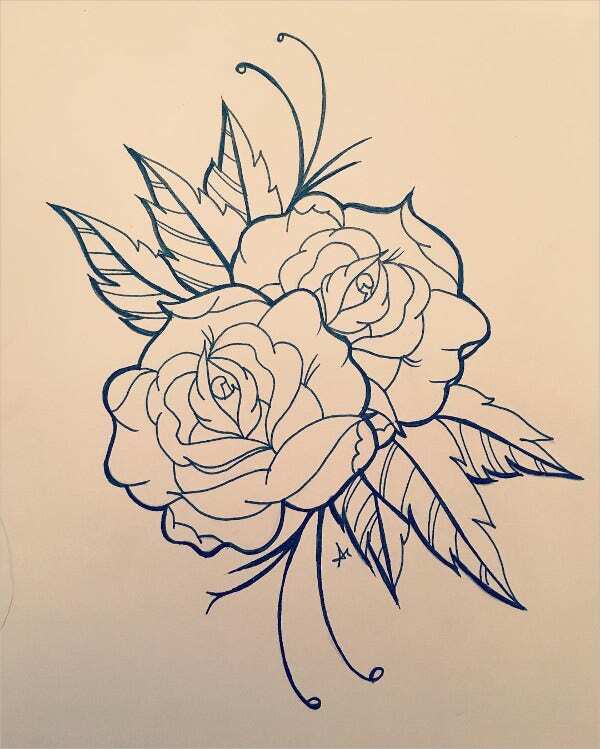 A blooming Rose Drawing always makes your day and the same goes with this lovely intricate rose sketch. You can use it for cards, especially romantic cards – when you are about to propose your love for the girl for the first time. 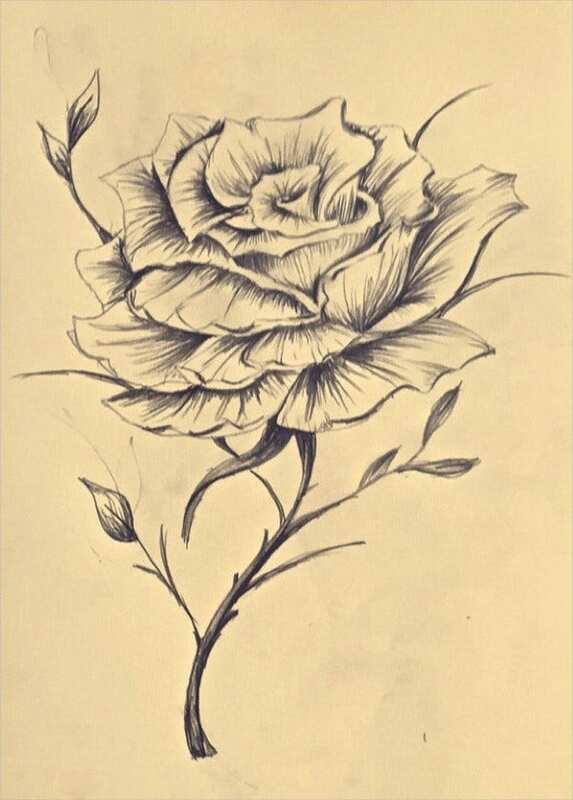 If you are fond of Rose Drawings, this sketch here is sure to impress you with its blooming and budding roses. The artist deserved kudos for the detailed attention and the beautiful way the stems entwine with one another. 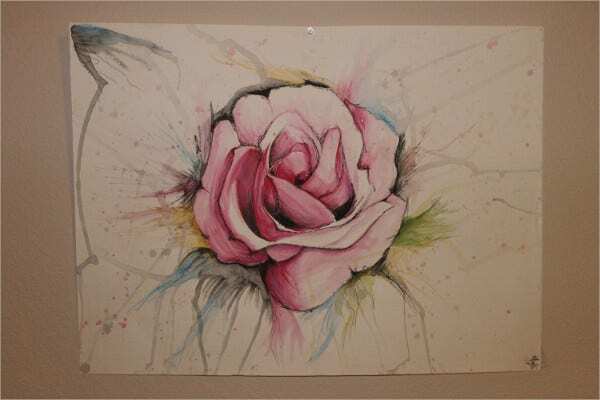 This Watercolor Drawing is one piece of great art and you will love the way it has brought the pink rose to life. You can use it for birthday greetings, romantic wishes, congratulatory cards, etc. 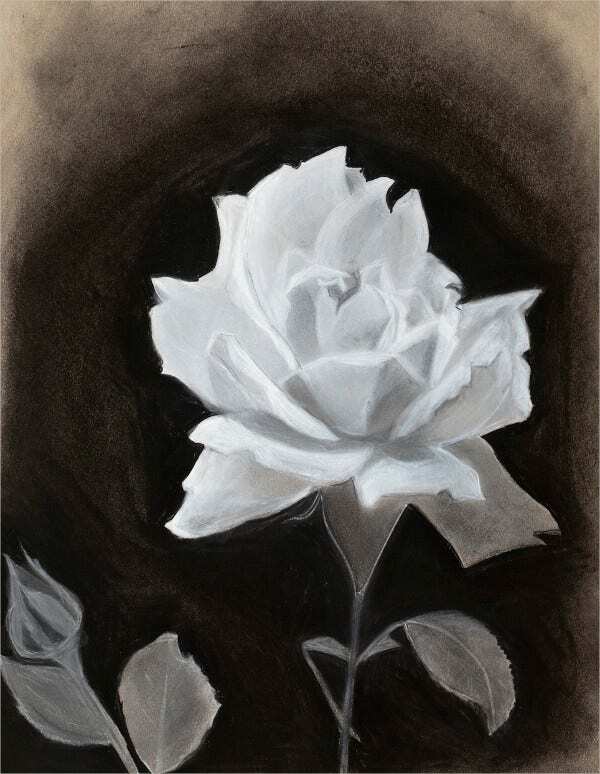 If you are a connoisseur of charcoal drawings, this rose art is sure to take your breath away with its realistic portrayal. The classic black and white combo is another interesting edge of the drawing. 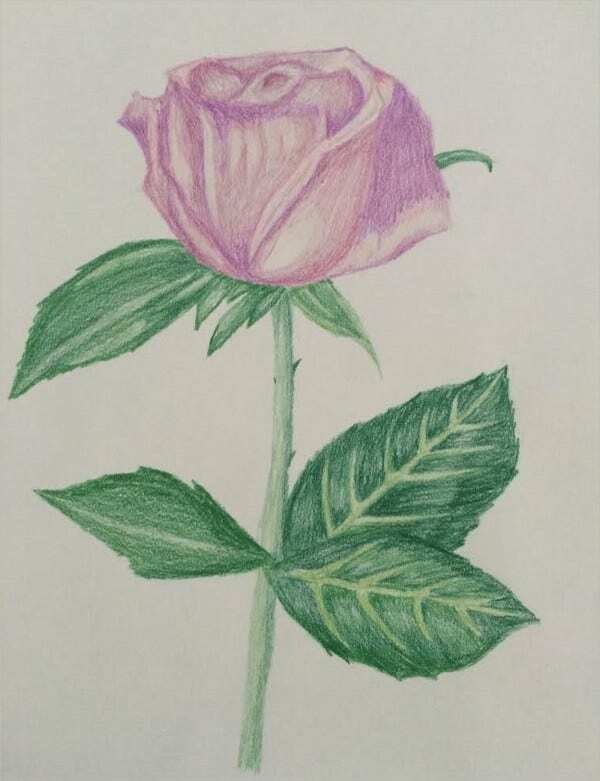 You have a pretty color pencil rose drawing here that mesmerizes with its beautiful pencil shades both for the flower and the leaves. You can have the drawing in any color of your choice. 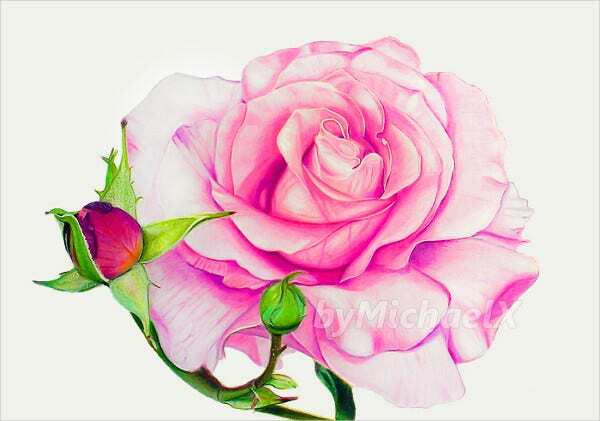 This is one of the best colored pencil rose drawings you will ever come across. It’s drawn on bristal paper and you can offer it someone with a congratulatory message. 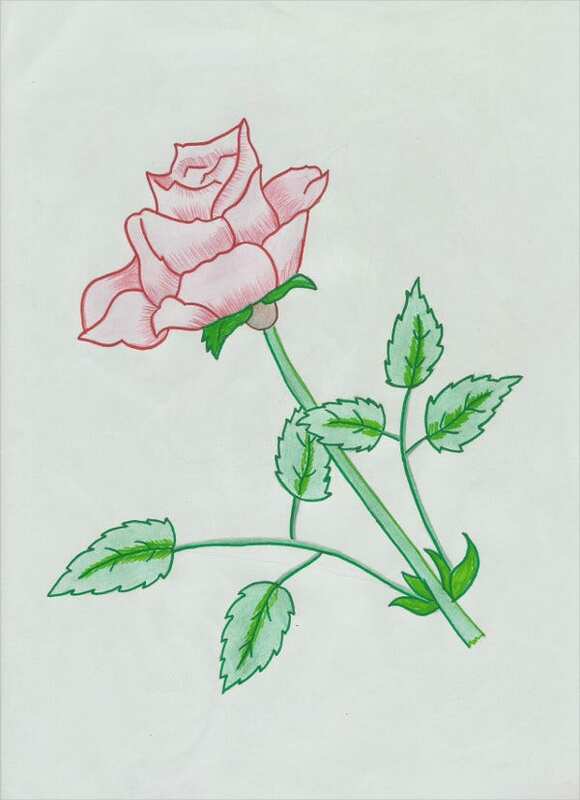 This hand-drawn rose drawing is one of the finest specimens of rose art with its detailed attention to lines and sketches. The drawing has been made with graphic pens. 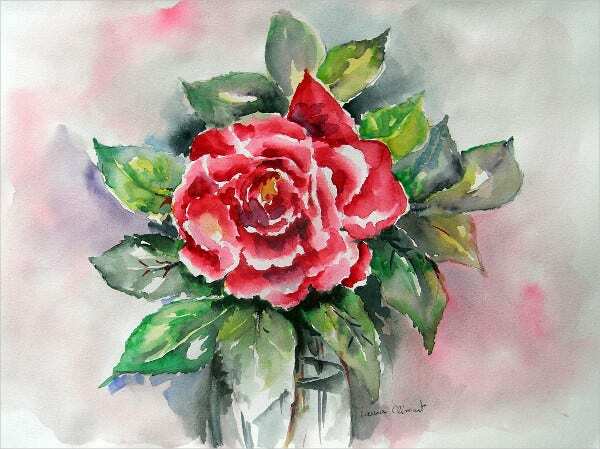 This watercolor rose drawing is a wonderful way to start your day on a fresh note and the lovely aura prevailing all around spreads a very positive message. You can use it for cards and greetings. 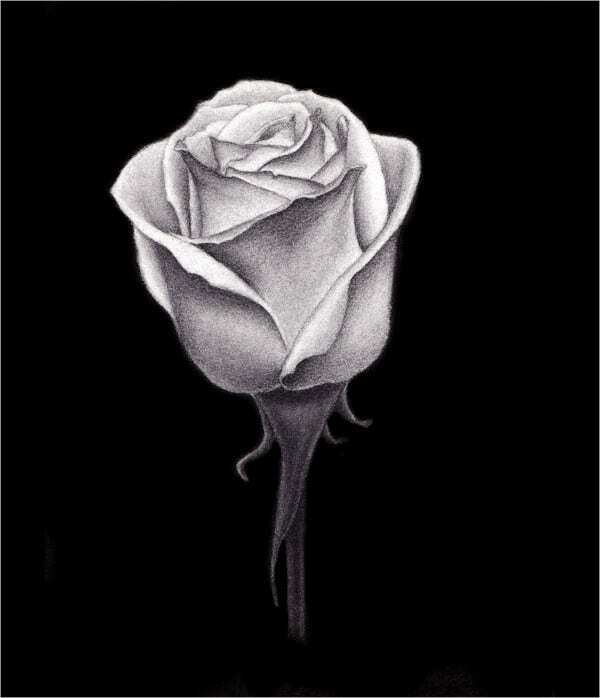 This digital rose drawing beautifully emulates the very classy aura of chalk and charcoal drawing and it would make a wonderful wallpaper for your PC. You can also pin it up on your living room wall. 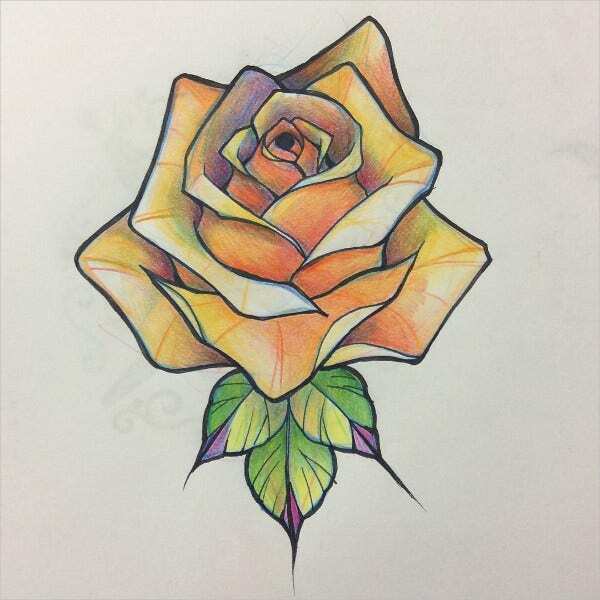 Rose is a favorite when it comes to love drawings and this color pencil rose sketch is a true beauty from every angle. You will adore its bright pink tone and the budding rose at the left speaks of new hope. 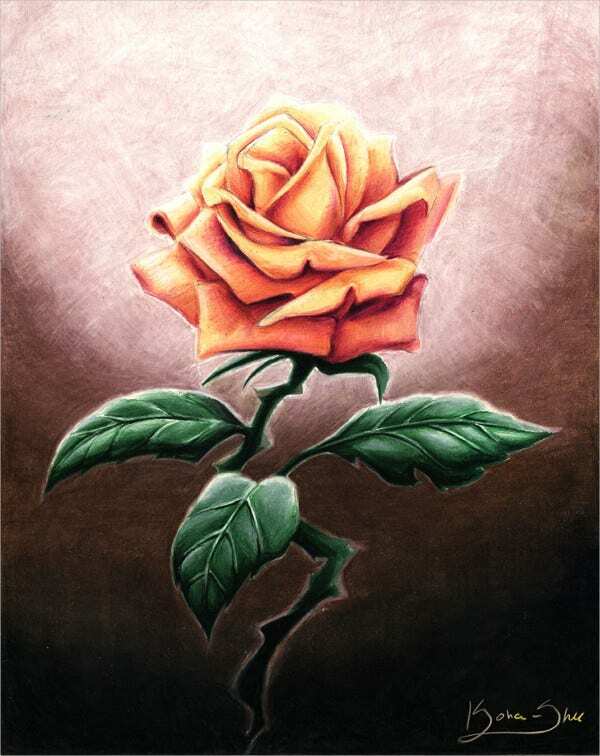 The rose drawing here carries a subtle digital touch that vouches for its edgy quotient and it would be a lovely choice when you are looking for something contemporary with a rose art. 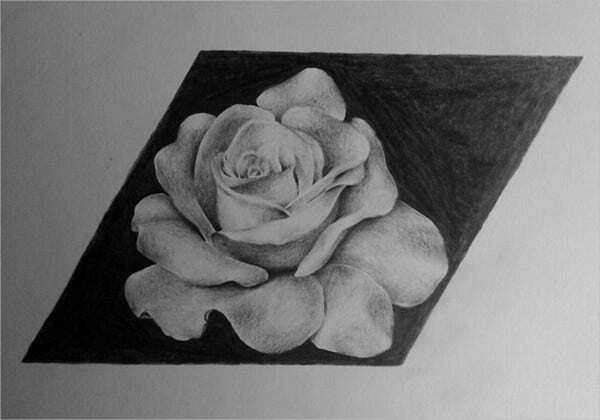 You have a wonderfully illustrated pencil rose drawing here that oozes beauty and charm from all angles. The artist has done a commendable job with detailed attention to every petal. 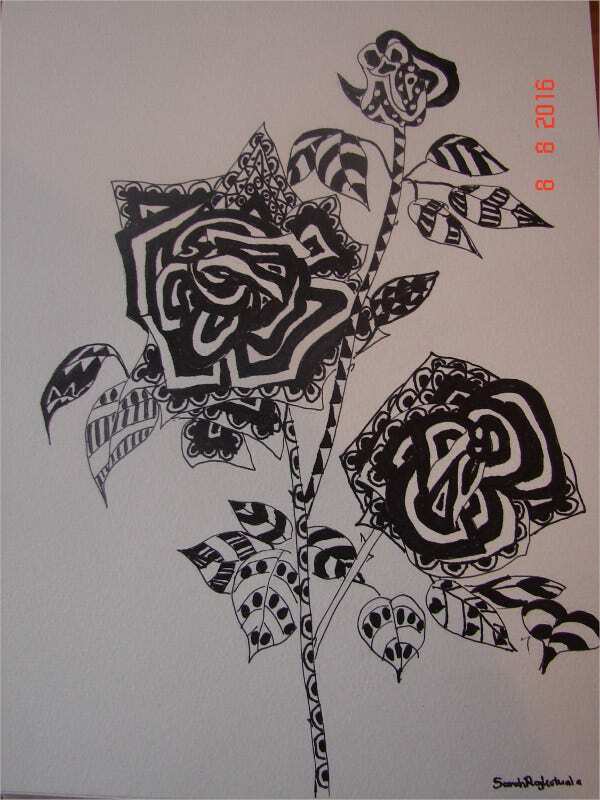 If you are fond for abstract drawings, this Zentangle rose drawing is sure to melt your heart with its quirky yet elegant illustrations. It would be wonderful for drawing room wall. 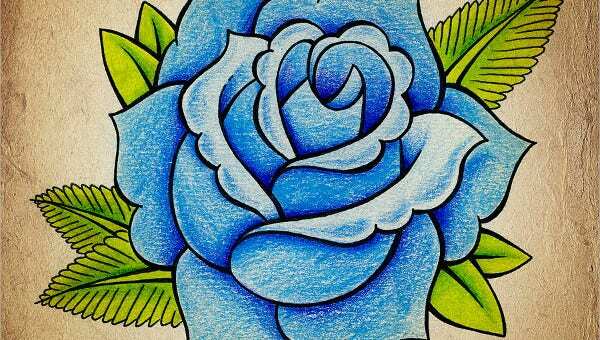 If you are looking for something unique with rose drawings, this out-of-the-box blue rose is sure to extend a different edge to your day. This rose is bustling with a vibrant aura all over. 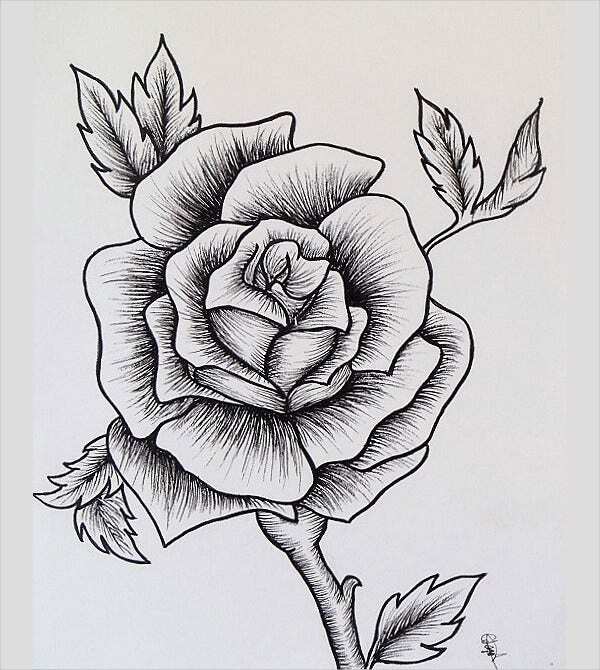 If the charming rose is something that you relate to, this lovely pencil art rose drawing would be excellent when you are planning for a rose tattoo. You can have it on your arm. If Rose Drawings are something that are really close to your heart, the rose templates above are sure to enchant you. From detailed hand-drawn roses to realistic watercolor roses to color pencil roses to abstract roses- you have got everything. 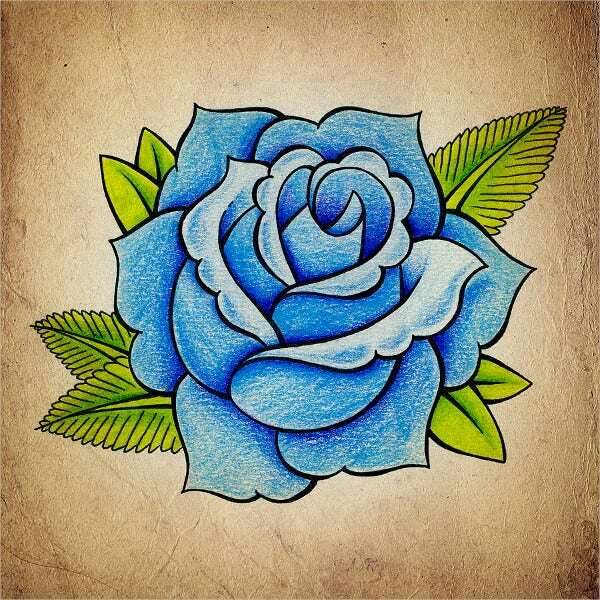 The artworks would also be helpful when you are planning a rose tattoo.